Gushing over the sparkle queen herself: Hayley Paige! We are borderline obsessed (ok, you caught us, VERY obsessed) with the designer of all things sparkly & flirty, Miss Hayley Paige! For anyone who hasn’t heard or seen some of the magical work that Hayley Paige has done in the bridal world, let us give you the scoop! Hayley Paige is known for her fun and whimsical style which mixes elegance with a sprinkle of sparkle! She mixes unique fabrics and patterns to create breathtaking masterpieces, time and time again. She first started her career as a young and eager fashion student with a vision to change the world (one throw of confetti at a time)! At the youthful age of 25 she was brought on as a head designer at JLM couture, and then in 2011 was funded for the launch of her Hayley Paige collection. 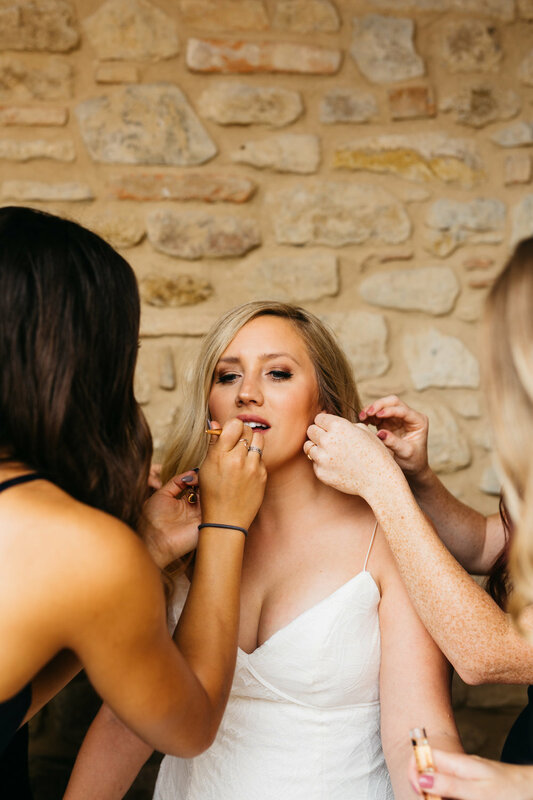 Currently, Hayley is the head designer of multiple collections including: Hayley Paige, Blush by Hayley Paige, Jim Hjelm and Hayley Paige Occasions (yay for #bridetribes)! Not only is she major #girlboss goals, she also really loves to interact with her fans and stay up to date on her social media pages. Hayley’s playfulness and exceptional attention to detail creates the perfect combination of high quality & uniqueness in her swoon-worthy designs. Although we could gush about Hayley Paige for hours, her work truly speaks for itself! Keep scrolling to see a few of our fav HP dresses that are currently hanging pretty in our boutiques! What's your favorite Hayley Paige dress? Comment below and let us know! WHAT NOT TO SWEAT ABOUT WHEN LOOKING FOR THE DRESS! Don’t have a specific style in mind? Not a problem! 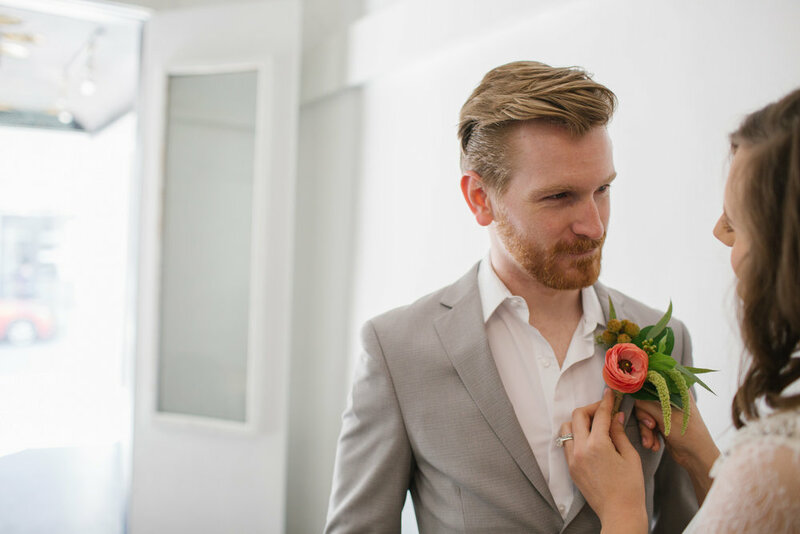 Many #futuremrs aren’t 100% confident in the style, shape, & pretty details they want for THE dress when the search for their aisle-ready gown begins! But really, how could you? 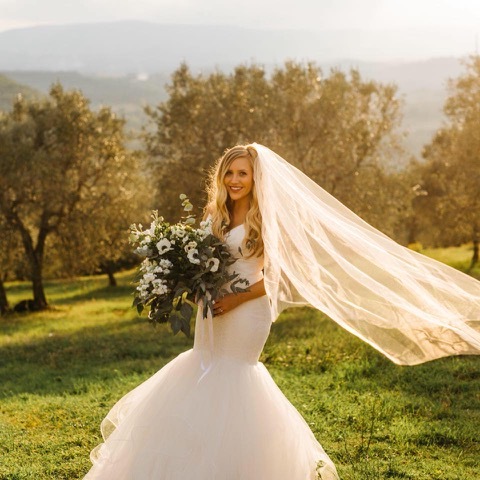 It is impossible for a bride-to-be to know if a dreamy, tulle ball gown will be the one to make them swoon, or if a lace fit n’ flare will bring all the happy tears to their eyes! Doing a little research and finding a bit of dress-inspo (helloooo Pinterest!) can help steer you in the right direction when beginning your bridal appointments! *Helpful Tip: Be sure to come into your first appointment with an open and honest mind! First, get a feel of a few different silhouettes in order to get a better understanding of what you like and what looks good on your body type. Once this is determined, let the fun details begin (lace, sparkle, tulle, horsehair - - or all of the above, #yougogirl)! Don’t know what undergarments to wear? No worries, we have the answers! This is something that you may not think too much about when starting your dress shopping, but it’s important! Most gowns fit the best without a bra, but being comfortable during your appointment is incredibly important! Therefore, if you are more comfortable wearing a bra, we suggest that it’s strapless! The straps on a typical bra are a bit distracting when trying on your pretties & tend to get in the way. Keep in mind that if seeing low back details are important to you, going without a bra may be your jam! 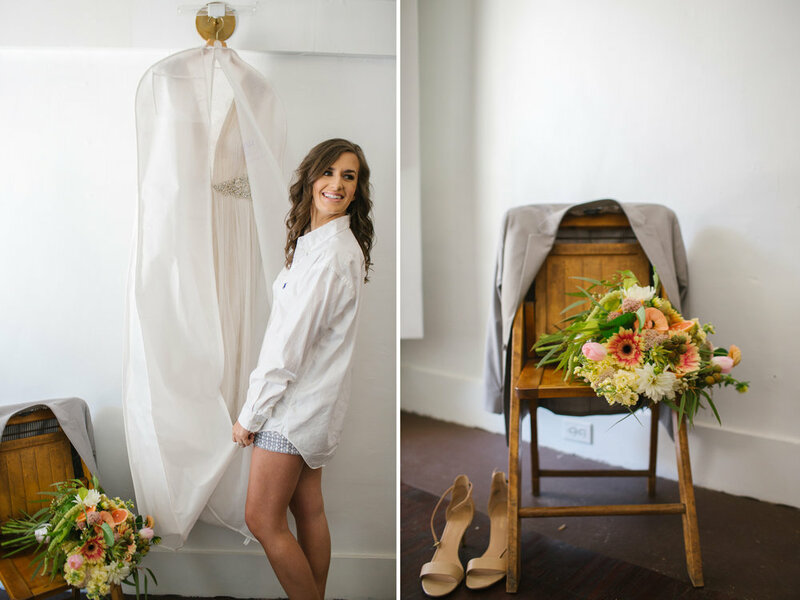 Of course, undies are a necessity for your bridal appointment, so make sure you wear a pair that you are comfortable with a consultant seeing! Don’t know who to bring? We have the secrets to choosing your #bridetribe! 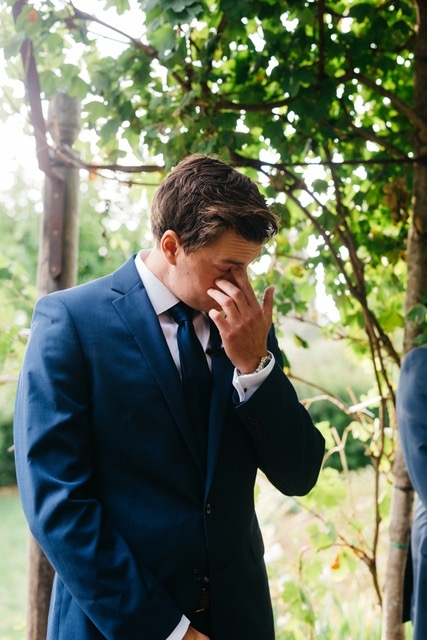 This can be one of the trickiest decisions for a bride! We wish that every loved one and bestie could join in on the hunt for your #ido dress, but let’s be honest, that’s A LOT of opinions! Sometimes the more opinions, the more overwhelming the process. We suggest bringing anywhere from 1-5 of your closest friends and/or family members, who put your happiness first! *Helpful Tip: Going smaller sometimes IS better… bringing a handful of your closest framily members (get it, friends + family) usually helps make the appointment run smoother. The people that mean the most to you are going to love what YOU love! Remember, this is your wedding dress! Don’t know where to start shopping?! Insert our fav, The Knot! Once you figure out the general location of where you’re planning on shopping for a dress, it will surely help narrow down your options! Whether that’s in your sweet home town or you’re jet setting to NYC to find your gorgeous gown, you’ll need to do your research! Looking up different boutiques in the area will help you get an idea of where to start. Don’t skip out on reading reviews! 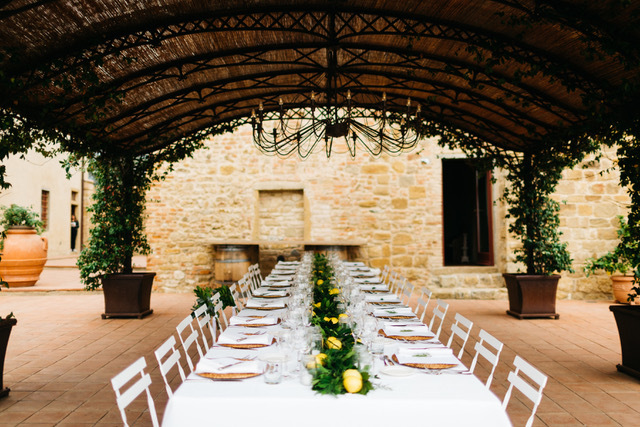 These helpful bride experiences can give you a great deal of insight on the overall feel of each boutique! With so many appointment options, finding a boutique that caters to the experience you are hopeful to receive is key! Take a look (or let’s be honest...stalk) their website and social media platforms to get a feeling of who they are & what they love! *Helpful Tip: Make sure to keep your budget in mind when determining where you are shopping! Trying on dresses that are out of your specific price point is very dangerous! Nothing is worse than falling in love with a gown you simply can’t afford. Don’t know what to do IF you fall in love with a dress at your first appointment? Totally normal! We applaud the ladies who fall in love with a gown on their first outing! This process should be fun & exciting, and if you happen to fall in L-O-V-E on your first visit, yay for things being stress-free! You truly are one of the lucky ones (trust us)! But we also understand that fomo (fear of missing out) is a real thing. Your bridal experience is exactly that, YOURS! If you fall in love with a pretty on your first outing & can’t seem to pull the trigger, it is perfectly fine to visit another shop or two to see if anything else compares! Just know that at a certain point, boutiques and gowns start blurring together, and things can get very confusing and stressful! It is about knowing yourself and understanding when you’ve seen enough options to feel confident you’re making the right choice, without getting overwhelmed! *Helpful Tip: Go with your gut! Only YOU can honestly determine how you truly feel in a dress, so don’t second guess yourself! If you believe in your heart that you know a certain dress is going to be the one you walk down the aisle wearing, then shout it from the rooftops! Own that gorgeous gown and feel the stress melt off your shoulders! Now you can check that off the list and pop some bubbly! Hopefully this little bit of advice gets you excited & ready to start shopping for your dream dress! Thank you! Can't wait to talk with you soon! Graphic Design and Calligraphy guru: China with Olive Paper Co.
NOW LET'S GET TO IT! Here is a sneak peek into a wonderful day with wonderful people! Loving all these gorgeous shots? Check out our website for more styled shoot inspo! We know what you're thinking- "oh man, LUXE must have gotten new dresses, they are probably so gorgeous, they always post the best things...". Welp, YOU'RE TOTALLY RIGHT! April has brought showers and all the pretty little dresses our hearts could desire, and we are so excited to share them with YOU! All you have to do is click to see all the info on your favorites! Have you checked us out on Instagram lately? If not, here you go! We promise we only post the prettiest of things, and we even keep you updated on the latest in our boutiques! It's basically like an all-access, VIP experience to an all-things-pretty party! Welcome back, all you lovely little readers! For us here at LUXEredux, March Madness means NEW DRESSES! And madness it sure has been! However, that madness has been nothing short of an overload of sparkly, shiny, lovely gowns! And we are here to present them to you! Don't forget to follow us on Instagram to get daily updates and never feel left out of the all-things-pretty party again! So let's get down to business! These are the newest additions that just arrived in our sweet little boutiques, if you are curious if one is near you, just give us a call at 513.550.3531 and we will be more than happy to let you know! As always, just click to shop! Welcome back, lovers of all things pretty! February is here and within this month lies one of our favorite days- Valentine's day! I mean, how could we not be in L-O-V-E with the day of L-O-V-E!? Now let's get to shopping! If you are drooling over these beauties and want to see even more, visit our website! Or, of course, if you just like seeing pretty photos, then follow us! That's right, brides-to-be, it's sample sale time! What is a sample sale? Oh, nothing too important, just an opportunity to find a gorgeous designer gown at a jaw-dropping, head-spinning, too-good-to-be-true, blowout price!! Excuse our excitement, we just cannot wait to see who says YES to the prettiest dress for the prettiest price! A few helpful tips though: we recommend having an idea of what you love when you arrive, be prepared to try on only your favorite picks! Also, we love our #bridetribes of course, but this may be a good day to only bring those who's opinions mean the most! We hope to see you there and see what stunner is the ONE! That's right, brides...MORE DRESSES! They just keep coming and they just keep getting prettier! PSA: If Swarovski crystals, lace, tulle, and intricate detail make you faint of heart, then this blog post is not for you! This month is all about the holidays but here at LUXE, it is always about the DRESSES. We thought we would add a little more sparkle to your week by showing off all the lovely new arrivals hanging next to our shiny chandeliers! Blue Willow by Anne Barge, Ivy. All of these new beauties are scattered throughout our lovely little boutiques in Columbus, Cincinnati, and Indianapolis. Call us to find out where your dream dress is! It's our favorite time of the year! And we aren't talking about Christmas time, we are talking about NEW DRESS TIME! Yep, here is your daily dose of pretty! WARNING: a whole lotta' gorgeous sleeves, stunning patterns, and jaw-dropping necklines ahead. MORGAN'S MUST HAVES: GORGEOUS PHOTOS! No secret here, LUXE loves all things weddings! And with weddings, there are photos! Today we wanted to treat you to some snap shots of a special photo shoot we recently participated in with the very talented Ellen Fleetwood. Not only will the stunning photos blow you away, but what makes it so very special is hearing Ellen's passion and the inspiration that brings about these beautiful shots! It is officially the season of falling leaves, pumpkin spice lattes, and SEPARATES! By separates, we mean bridal tops and skirts that are sold individually so you can customize your look to match exactly the kind of bride you want to be! Don't jump up just yet, we haven't even shown you these little pretties! This crystal beaded Carys top by Martina Liana is just the right amount of subtle sparkle and is easily paired with the skirt of your choice! Speaking of skirts, we have been non-stop-swooning over this Watters style 5089B that we have in both Ivory and Rum Pink. The level of adorable that is this Martina Liana Sachi Skirt is OFF. THE. CHARTS. Oh, Watters 9013B has completely stollen our hearts. But seriously, #buttongoals. Watters Carlton is the perfect addition to any fitted gown that just needs a little bit of a flare, not to mention, you get the feel of having TWO dresses. We thought we would wrap it up with a little "wow" factor. Cayla by Martina Liana might blind you with all that glitz and glam but we promise, it is SO worth it! Don't forget to visit luxereduxbridal.com for more details of all these new beauties! Welcome back, all you beautiful brides-to-be! We thought we would change things up a smidgen today and talk HAIR WRAPS! Trust us, you will not be disappointed (but keep in mind we will be back next week with our usual pretties)! Hair wraps are the absolute perfect accessory for any bridal look, so we wanted to show you not only how stunning they are, but also how they work! Here at LUXE, we have two different styles of hair wraps available: The Josephine Wrap (featuring either all Swarovski Crystals or Swarovski/Opal) and The Amber Wrap. The Josephine Wrap, to make it short and sweet, is GLAMOROUS. This piece is guaranteed to sparkle and shine all over your big day! It is perfect for either spicing up a simple bridal stunner, or even pulling the look together by complimenting that already beaded beauty! But wait, there's more! We are going to walk you through step-by-step photos of exactly how these little pretties work! First off, simply select where you want the large hair clip to be placed. Next, simply wrap the Swarovski chain around the hair. Keep in mind, this can be wrapped along with any hair style, it is completely up to you! Lastly, once you have the wrap looking just how you want it, simply finish by bringing the smaller clip back over to meet the larger clip and form a gorgeous splash of sparkle! The Josephine Wrap photographed above features Opal beading, but don't forget, we have other options! The Amber Hair Wrap is the perfect minimal touch of sparkle for that bride that wants just a little something extra! Take a look! Now you just have to decide which one is perfect for walking you down your aisle! What's new on our rack of colorful pretties! Still not completely convinced? That's OK, let's take a closer look at a few of these colorful cuties! One of the greatest things about our quaint little boutique is that we never know when we are going to get surprised with a pretty new batch of gowns! And that is exactly what we recently received...NEW GOWNS! Here are some favorites from our newest group of fostered dresses! Yay! The word is out & the doors are officially open! Our company has decided to expand once again to allow a new group of #futuremrs the opportunity to say Y-E-S at LUXEredux Bridal. We are so thrilled to announce that Indianapolis is our new home & the third location in our little LUXE family! Our lovely Indy location houses gowns from designers such as Hayley Paige, Lazaro, Lea-Ann Belter, Mikaella, Jim Hjelm, Tara Keely, Watters, & more! As always, each dreamy gown is available to purchase off the rack at an almost-too-good-to-be-true price! Our storefront is located at 1101 E. 54th Street, Indianapolis, IN 46220. Please ring us at 317.384.1034 to schedule a personal bridal appointment with one of our wonderful stylists (caution: there may or may not be cupcakes involved)! Prepare your Pinterest boards, grab your #bridetribe, & get ready to clink your glasses with a bit of bubbly! We cannot wait to help you find THE dress! We missed you, brides! Don't worry, though, we are back and ready to talk BOHO! 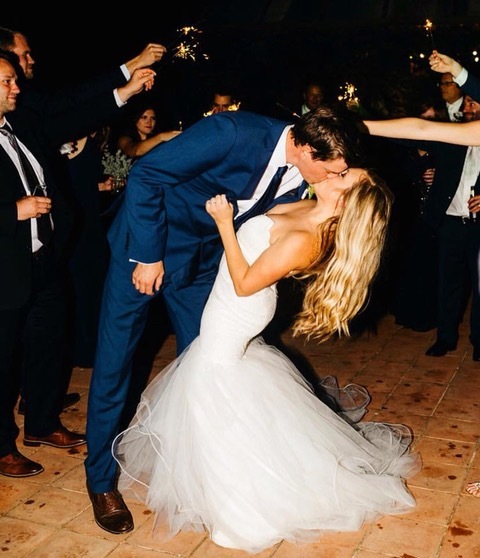 I'm sure somewhere in your wedding-planning fun the word Boho has popped up a time or two, and we just want to show off some of our favorite styles! 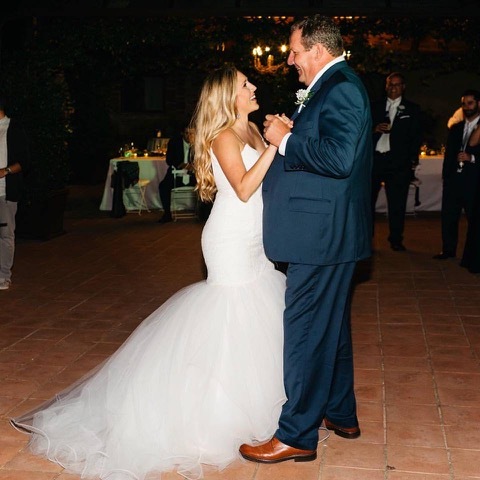 We are loving this trend and of course we love our brides so let's get down to the nitty pretty (get it?)! Some designers to take a little peek at are Ivy and Aster, Watters Willowby, Nicole Miller, Jenny Packham, and Claire Pettibone. Trust us, there's more but we would be here all day long if we had to list every designer we are in L-O-V-E with! If you are a boho bride then pop on into one of our adorable little boutiques to see if we have that perfect dress for you to say YES to!